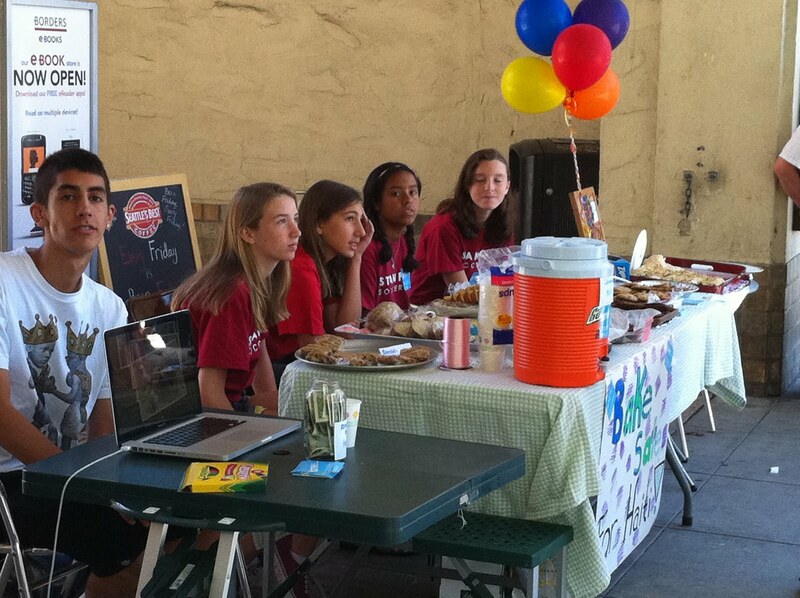 ONE LOVE ADVOCATES: Bake Sale! It's been a while since I last updated the blog, summer has gotten the best of me... But we've stayed busy as usual with One Love! 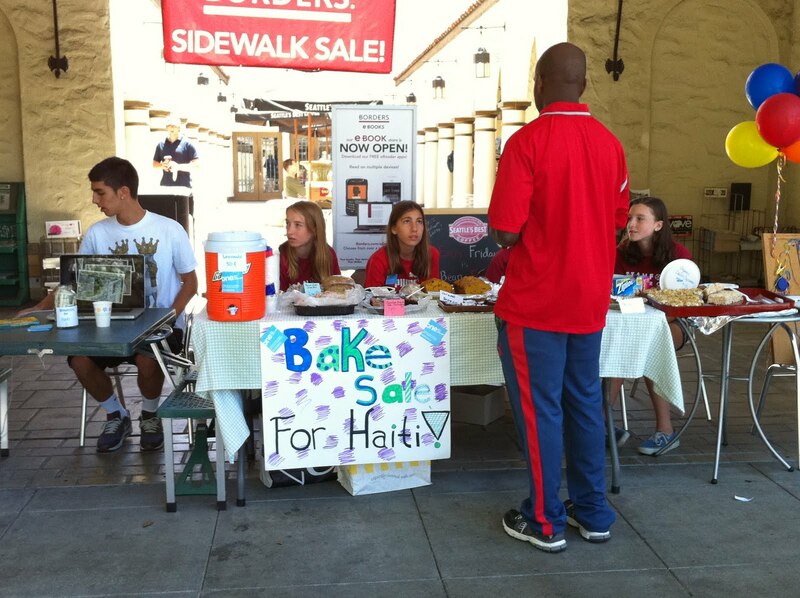 This weekend, with the help of Ethical Youth Group (a local humanitarian youth group), we set up in front of Border's book store in Palo Alto and held a bake sale. We sold brownies, carrot cake, pecan pie, Rice-Krispie treats, cheerio bars, chocolate chip cookies, caramel brownies, vegan brownies, lemonade, friendship bracelets, and more. Lots of people stopped by and asked about our cause, and it was great to be able to educate people about Haiti and its needs, and receive such a positive response. Many people even donated money without buying any snacks at all! It was a great success, as we raised over $255 dollars for our cause. The members of the Ethical Youth Group also got a chance to pass out fliers and tell people about One Love, which proved to be a unique and important experience. Additionally, it was fun for me to work with other kids who are all interested in and dedicated to helping those who truly need help, which is what One Love is all about. That's all for now, but be sure to stay tuned for more updates about our current work and some more reflections about our past trips and future plans!